Now that winter has hopefully passed it’s peak and we are all a bit tired of the darkness and cold, it might be a good idea to refresh our spirits with some sunshine! I know it’s easier when the Sun is actually visible and you can feel it’s warmth on your skin. But let’s try to bring those summer feelings back by visiting the most wonderful island of the Canaries, Tenerife. A place of everlasting spring and summer. Where are the Canaries? You might ask. Well, I did too. These islands form part of Spain, they are located in the Atlantic ocean, right next to the coast of Morocco. There, now we know. I invite you to join me in exploring the North of this tiny island (785 square miles). 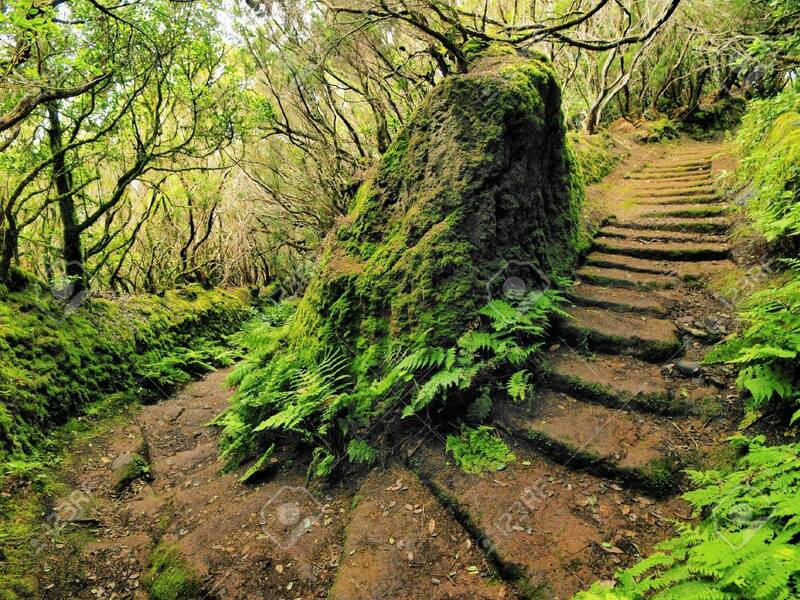 If you’re a nature lover, the Anaga mountains will be one of your best hikes. Ever. Imagine you are in a magical land, with lush green all around, hills and mountains rolling. Feel the scent of strange shrubs and bushes, cactuses and flowers, jungle like forests with a tinge of the ocean air. Little lizards running around, butterflies and birds playing in the air. The sun’s heat gently touching your skin, refreshing breeze passes by to cool you off. Absorb the sensation of being in a long lost land where you will experience that very special power of nature. Many valleys and many peaks, most of them offer a view to the ocean and El Teide, the highest mountain of Spain and active volcano in the middle of the island. 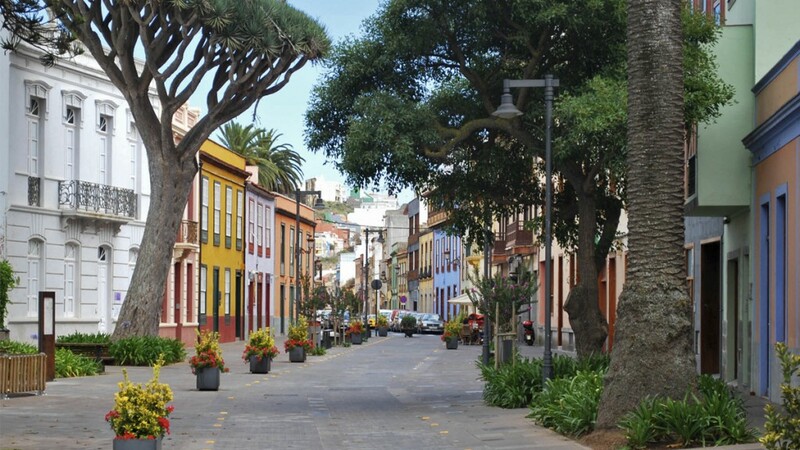 If nature is not your cup of tea, then why not visit San Cristobal de La Laguna, the town of the island’s university. A place full of life, artisans and artists displaying their works on the streets. You can always bump into live music somewhere, and if you are a musician, it is likely you’ll find a jam session to join too! The pedestrian street is the greatest spot for shopaholics with many Spanish and foreign brands, and even some outlets! Downtown is really quaint with colorful buildings dating back to the 16th century. Oh, by the way the historical center has been a UNESCO World Heritage site since 1999. If this is not enough, we are just in time to participate in the second biggest carnival on Earth (after the one in Rio de Janeiro). 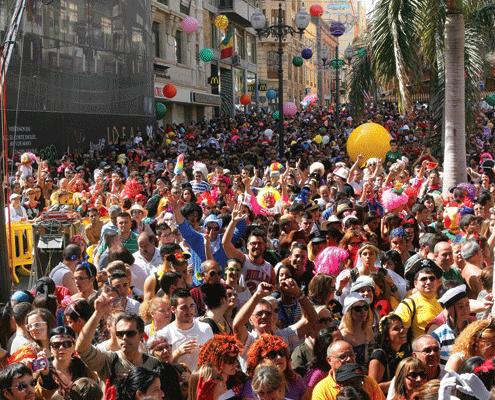 In Santa Cruz de Tenerife, the island’s capital, everyone goes to the streets dressed fancy or not. On Wednesday they elect the Carnival Queen, on Friday the parade and carnival starts and goes on until Tuesday. On Ash Wednesday the city is draped in mourning, a funeral procession ends the week. Every year has it’s own theme, in 2016 you might feel like you’ve accidently traveled back to the 80’s. Oh yes! I know, now you really want to be there and enjoy the island life. I do too! I hope that you have warmed up a bit and got those summer feelings back. What part of Tenerife would you like to explore? Leave a comment below! Don’t forget to check out our new shop and purchase some beautiful bracelets for great prices! Previous Top 5 Films That You Must See In Your Lifetime!